It’s not easy to find family-friend fare on television today. With so many procedurals about crime on television, sildenafil sometimes it feels like shows that the whole family can watch are a rare breed. Fortunately though, there are still some strong shows– both comedies and dramas– on television (and Netflix) that are still wholesome enough for you to watch even with younger children. With that in mind, I composed a list of 5 great family-friendly shows. For this list, I only included programs that are currently on the air (or Netflix). There are plenty of classic family shows (including beloved classics like The Brady Bunch and The Waltons) that are available on DVD but I wanted to focus on shows that are still offering new episodes today. Dancing with the Stars: This long-running ABC competition is now in its 22nd season but it’s still a lot of fun. Each season features celebrities (this year includes actress Jodie Sweetin, football superstar Doug Flutie and reporter Geraldo Rivera) who are paired up with professional dancers. Each week, dancing couple is eliminated leading to the grand finale where one couple walks away with the beloved Mirror Ball. The premise has stayed the same but the show often livens the proceedings with new dances and fun theme nights. Fuller House: The original Full House offered audiences a loving story about a widowed father raising his three daughters with the help of his two male best friends. The highly-anticipated spinoff show offers a similar approach with Candace Cameron-Bure taking on the role of D.J. Tanner once again. Now, D.J. is the widow who is tasked with raising her three young boys. Her sister Stephanie (Jodie Sweetin) and her best friend Kimmy (Andrea Barber) are along for the ride in this funny and uplifting tribute show that stands out on its own. Click here for our review. Girl Meets World: In the 90s, Boy Meets World told the story of a young student name Cory Matthews (Ben Savage) who was growing up alongside his best friend Shawn (Rider Strong), a rebel from the wrong side of the tracks, and Topanga (Danielle Fishel), a quirky classmate whose strange personality always made her stand out in this class. In this sequel series, Cory and Topanga are all grown up and married and their daughter Riley (Rowan Blanchard) is learning a lot growing up alongside her best friend Maya (Sabrina Carpenter), a rebel from the wrong side of the tracks. Like Fuller House, Girl Meets World stands on its own but it’s also an endearing and warm-hearted tribute to the show it was spun off from. The Middle: This long-running ABC comedy proves the traditional family sitcom is alive and well. Starring Patricia Heaton as Frankie Heck, the anxiety-prone mother of two boys and a girl, the show focuses on the family’s life in the heartland of Indiana. With an oldest son who is constantly causing her headaches, a middle daughter who is overzealous about nearly everything in her life and an eccentric youngest child who always stands out, Frankie and her husband Mike (Neil Flynn) are constantly being peppered with new situations to deal with. The show is consistently funny and down-to-Earth and is always great at finding the humor in everyday life. The Flash: In an era where superhero stories are often dark and grim affairs, CW’s The Flash stands out as being one of the most uplifting stories in the genre. 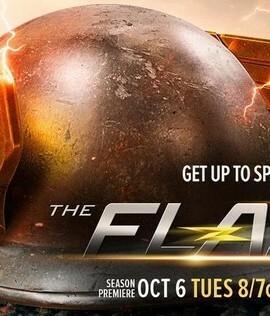 The show tells the story of Barry Allen (Grant Gustin), a young crime scene investigator, who is struck by lightning and given the ability to travel at an extraordinary speed. Instead of being glum about it, Allen becomes a classic comic book hero saving the lives of his friends and his city each week as he faces off against villains, who are using their supernatural powers for evil. This is the rare superhero program that you can watch with your families. It’s a show that celebrates heroism and positive values. the violent and gritty drama Batman v. Superman: Dawn of Justice hit theaters nationwide. The film continued the recent cinematic trend of D.C. comic book heroes being portrayed as darker brooding individuals who survive and thrive in hardened societies. The film lays the foundation for the forthcoming Justice League and the Flash — an iconic hero — is briefly introduced (his stand-alone movie is scheduled for release in 2018). Like Batman v. Superman, The Flash movie promises to continue the darker direction of this cinematic series. Fortunately though for television watchers everywhere, that same character — albeit played by a different actor — was given a more positive and uplifting spin on the CW drama The Flash, now in its second season. In the show’s first season, the story began with a tragic back story. Barry Allen (played here by the charismatic Grant Gustin), started the program as a nerdy crime scene investigator who was raised by the kind-hearted Detective Joe West (Jesse L. Martin) after his mother was tragically murdered years earlier. Allen’s father was falsely imprisoned for the murder so Barry had been adopted by West at a very early age. In the pilot episode, Allen was struck by lightning and gained the power to travel at an extraordinarily fast speed. He uses that ability to fight crime and eventually solve the mystery of his mother’s death. The show’s second season finds Allen taking on new villains, who have escaped from another world to face off against our hero. These villains have been sent by Zoom, a fellow speedster, who is trying to steal Barry’s speed away from him. However, the show is about much more than a masked hero taking on an eclectic group of vigilantes. It’s about a noble young man who is trying to use his newfound abilities to do good in the world. Allen started out as an honorable figure but when he received his powers, he became a classically heroic one — fighting to protect his friends and his city from the bad guys who threaten it. His underlying values of honesty and integrity come from West, the father-figure that Allen continues to look up to and Allen is oftentimes surrounded by a great group of characters who see him as part of the family. Iris (Candice Patton), West’s daughter who grew up alongside Allen, is now an intrepid reporter who wants to print the honest truth (and oftentimes refuses to succumb to the negative rumors that sometimes surround the Flash). Cisco (Carlos Valdes), an early ally of the Flash, is a technologic wizard who loves naming and then eradicating the villainous meta-humans, who use their supernatural abilities for evil. Caitlin (Danielle Panabaker), a scientist who also befriended the Flash early on, is a scientist who studies and analyzes the villains to find out their weaknesses. Together, this group works as a family to clear up the streets of Central City and their affection for one another is palpable. These are characters who care for and about each other in a powerfully uplifting and positive way. They are not brooding or despondent or hopeless. They are the opposite of those things. One of the great joys of the show is watching these joyful warriors work with one another. Even though the show is predominantly about a superhero, his battles against villains often take a back seat to the characters themselves, who spend a lot of time with each other even outside of their work. In the midst of the episodes, there are often real and heartfelt moments showing the characters playing board games with each other or going out together or simply having fun. They are always there for one another even when there are no monsters on the loose and that keeps this show from getting pigeonholed as just a superhero show. This is a show about family and the love that even arises from co-workers who truly care about each other. Inevitably, the show has its darker and more emotional moments but in comparison to the superheroes who light up the cinemas, they are a beautiful and uplifting breath of fresh air. To keep some of the situations light, Cisco loves giving the meta-humans funny nicknames and making jokes about them. In a recent episode, a meta-human nicknamed King Shark — yes, he looks like what you would expect — returned to the city to wreak havoc and sprinkled throughout the episode were references to Jaws. “We’re gonna need a bigger Flash,” Cisco said. It’s undeniable that the big screen version of this story will feature darker material. In fact, when Batman v. Superman director Zach Snyder was asked about why he didn’t cast Gustin — an actor who lights up the television screen as the show’s hero — as the Flash in the movies, he noted that the tone of the television show is “not our world.” Considering that Snyder — who is reportedly directing The Justice League Part One and The Justice League Part Two — is an integral part of this D.C. series of movies, it looks like the tone he established in the darker Man of Steel and Batman v. Superman will be continuing in the years to come. In the meantime, television viewers who are looking for a more light-hearted show about a superhero can look to the greatness of this television series. While superhero movies seem to be venturing into more adult fare, it’s nice to see a family-friendly hero saving the day on the small screen and actually being excited about it. If you’re looking for more shows you can watch with your family, click here for a list of five great family-friendly options. Copyright © 2019 John Hanlon Reviews. All rights reserved. 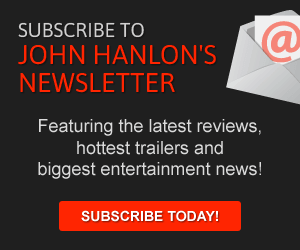 Sign up to receive the latest reviews, newest trailers and the entertainment news of the week.